Shadowfax is the name of the horse that wizard Gandalf the White rides in The Lord of the Rings. 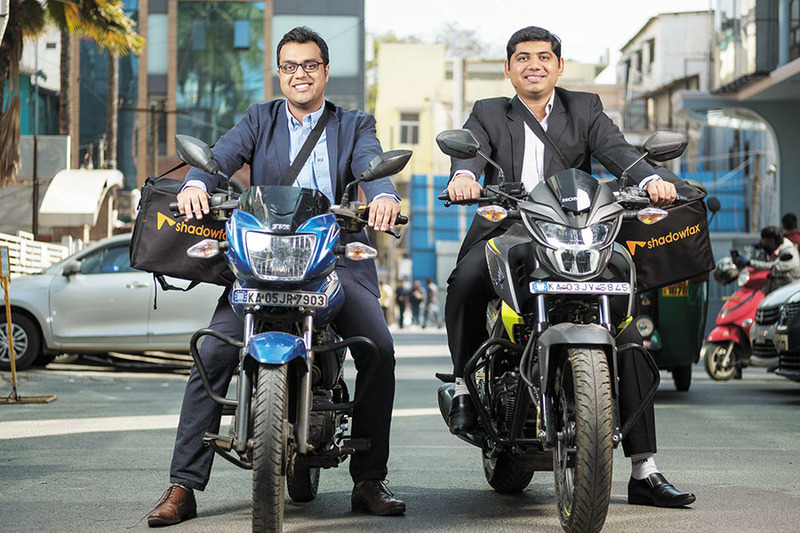 Perhaps founders Abhishek Bansal, 28, and Vaibhav Khandelwal, 26, hope that the freelance delivery persons on their network of the same name will be equally agile and zippy. The duo founded Shadowfax Technologies, a Bengaluru-based logistics service provider, in 2015. Not only did they survive the delivery startups carnage in 2015, Bansal and Khandelwal also acquired a rival and raised their first serious funding in the same year. Since then they have built their venture up further and are ready for their next phase of expansion. “What Shadowfax is doing effectively is bringing a strong tech play into leveraging the off-hours, because in logistics, one of the challenges is peak timing,” says Zishaan Hayath, co-founder of Toppr, and an angel investor at Powai Lake Ventures in Mumbai. Last August, Shadowfax Technologies raised $22 million in Series C funding led by NGP Capital. It plans to use the money to expand its operations and aims to connect 400,000 delivery and business partners to its platform by 2021. Shadowfax counts Amazon, Myntra, Urban Ladder, McDonald’s, BigBasket, KFC and Domino’s among its customers. It has also developed an artificial intelligence-based location data processing software called Frodo.